Community groups, institutions and schools can stream Power and Control from New Day Films. Licenses range from 14-days to five years. If you are at a college, Power and Control can also be viewed through the Kanopy streaming platform. Individual streaming is available via Amazon. DVDs are available from this site and through New Day. If you are with a non-profit community organization that can’t afford any of these options, please contact us and we’ll do our best to help you out. Our two other specialized domestic violence films — Domestic Violence and Health Care and Domestic Violence in Law Enforcement — are also available from this site, New Day or Kanopy. One Typical Question. 10 Powerful Answers. 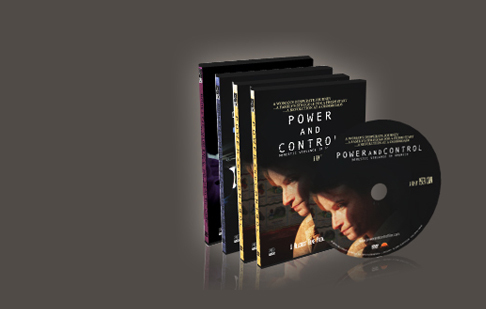 "Power and Control" demonstrates the complexities victims face at the hands of an abusive husband or boyfriend. This film encourages thoughtful dialogue on what we need to do to end domestic violence. I hope it receives widespread exposure."